Since the inception of our organization, we are offering Packing Blister to the clients. 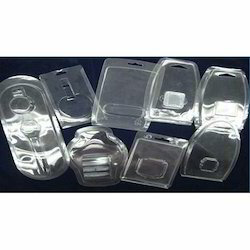 We expertise in Packing Blister of various shapes and sizes using PET, PVC & HIPS materials. As we use such efficient materials for blister, they become long lasting and durable. Our blister is not at all expensive and available for our clients worldwide.